Welcome to our website of our Manchester Terriërs v.d.Posthoornwieke and Eaglespur Manchester Terriërs. Our kennel is rural situated nearby the village Dedemsvaart. In our opion the word kennel is not the right word because our dogs are as much as possible near us in our living room of our farm house. 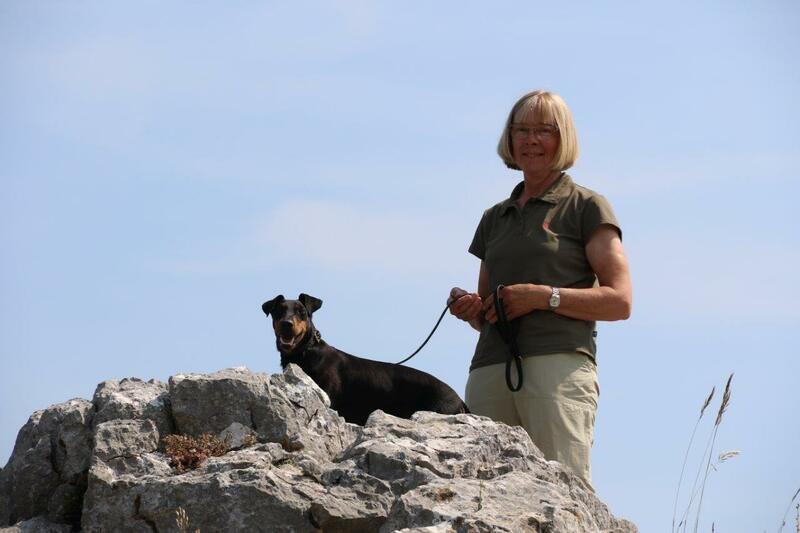 Years ago we have chosen for a Manchester Terriër because it is a nice family dog, they are always happy and kind. On our property and on their playground our dogs have all the opportunities to play and to enjoy themselves. 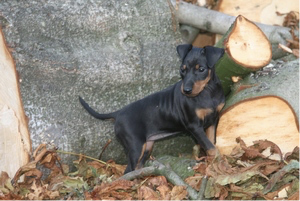 The Manchester Terriër is one of the oldest breeds. Our dogs mainly come out of old English bloodlines. 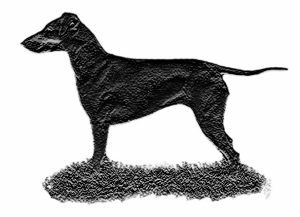 We are grateful and honoured that we are given the opportunity to carry on one of the oldest Manchester Terriër kennels of England, Eaglesur Manchester Terriërs. This we will do with Mrs. Anne Colley and her daughter Lana. We are more than grateful to Mrs. Enid Teague-Knight for the fact that she has trusted us with her life’s work! 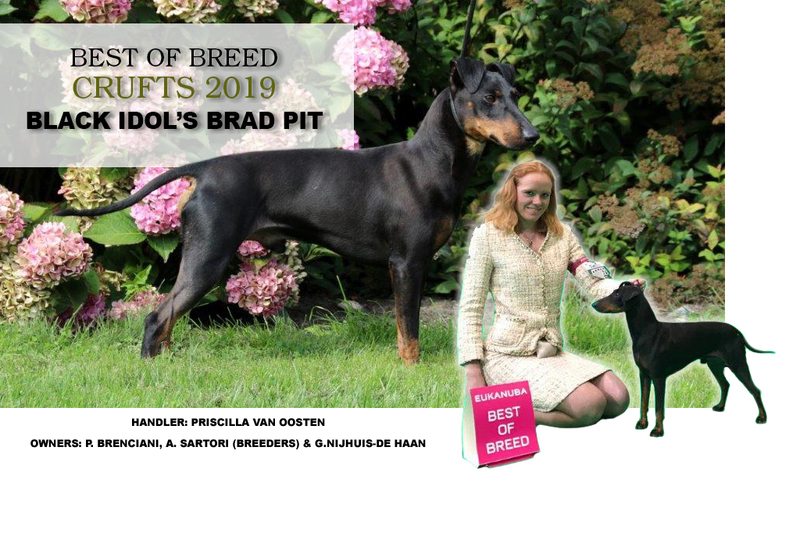 For decades she worked with a lot of love for this breed. Several dogs from her kennel Eaglespur have archieved many successes and for that she deserves all credits. In almost all the pedigrees of Manchester Terriërs in the world, you she the name Eaglespur! With that same love for the breed we want to do everything to continue the oldest bloodlines from Eaglespur. Our main priority is to breed healthy dogs (Fit for Funcion and Fit for Life) followed by a nice charakter. We also believe it is important the Manchester Terriër is a well-built dog who likes to undertake things with his owner and especially wants to work together. Manchester Terriërs love active plays like flyball and agility but they also like obedience. A short or a long walk, a great run out in the park or playing with a ball in the yard, those are all activities a Manchester Terriër really likes. Every now and then a litter is bred which satisfies the demands for breeding of the Dutch Manchester Terriër Club (MTCN). Puppies are born and raised in our living room and they are well socialized. They get to know all kinds of sounds, meet strange people, children and animals. All this we do to prepare the puppies for a stable life with their new owners. Obviously puppies are handed over to their new owners with a pedigree and an European passport. They are vaccinated, chipped and treated against worms. 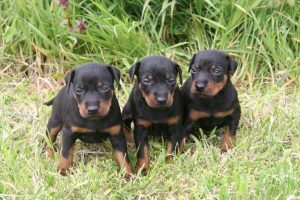 We find it important that our puppies go to people who have enough time and attention for this energetic and affectionate breed. You are more than welcome if you want to learn more about or want to be acquainted with one of the oldest terriërs in the world.